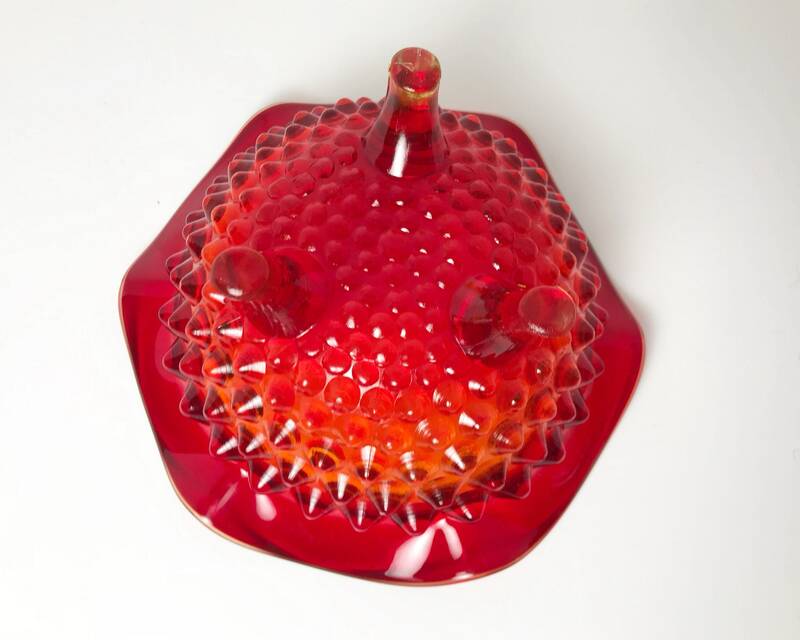 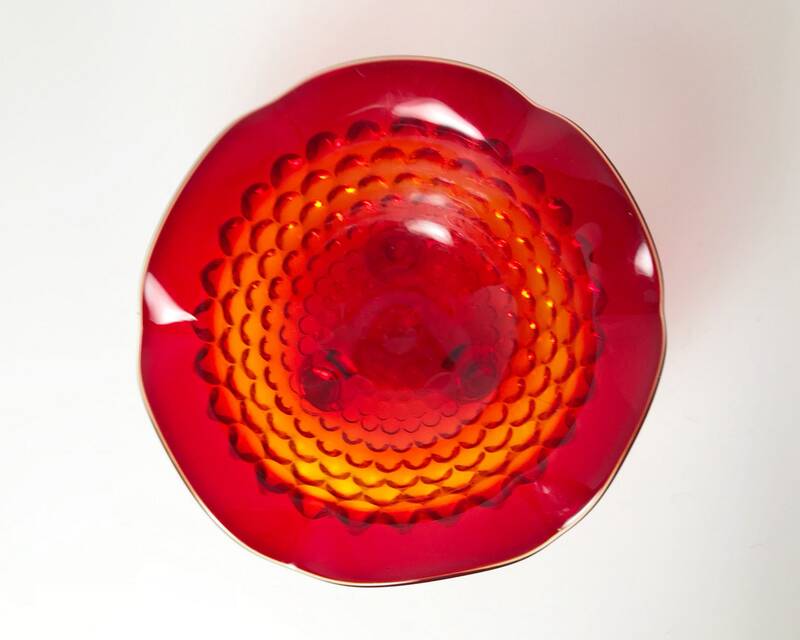 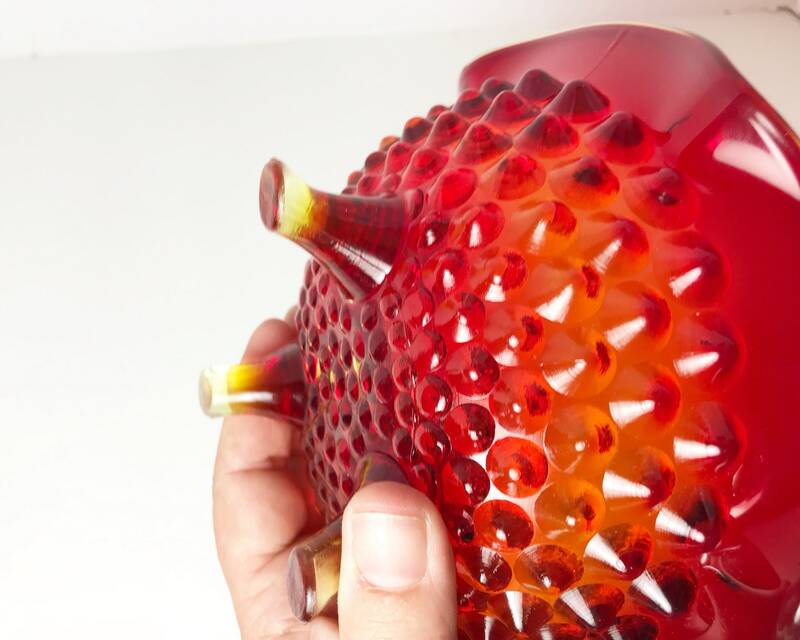 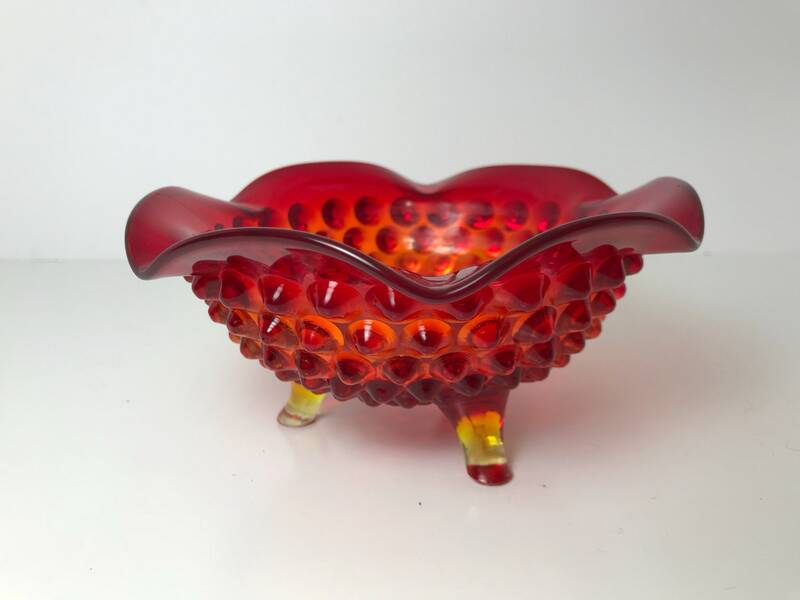 Viking Glass made this gorgeous Amberina Hobnail candy dish between 1950 and 1970 - perfect mid century vintage decor. 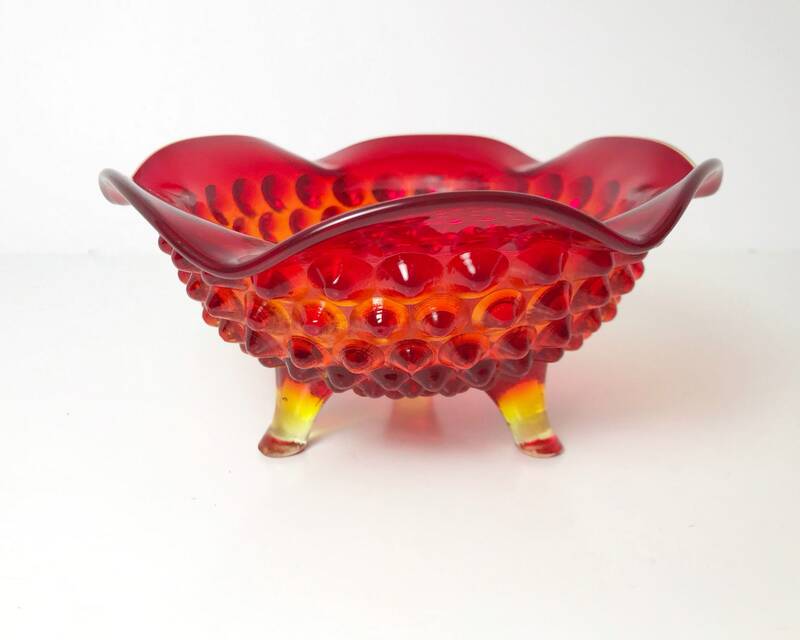 This footed bowl would be great in any vintage glass collection, or a beautiful addition to a table setting. 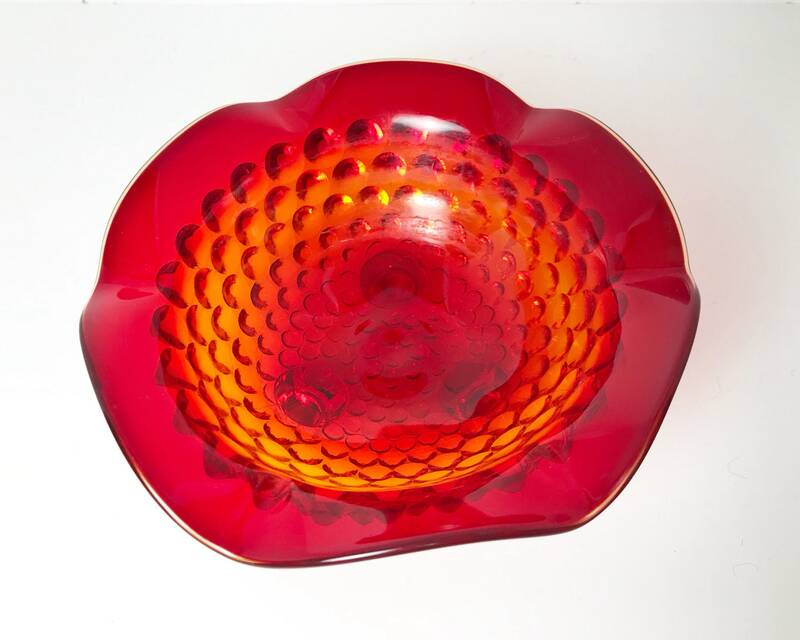 CONDITION: Good with no chips, nicks, cracks or scratches. 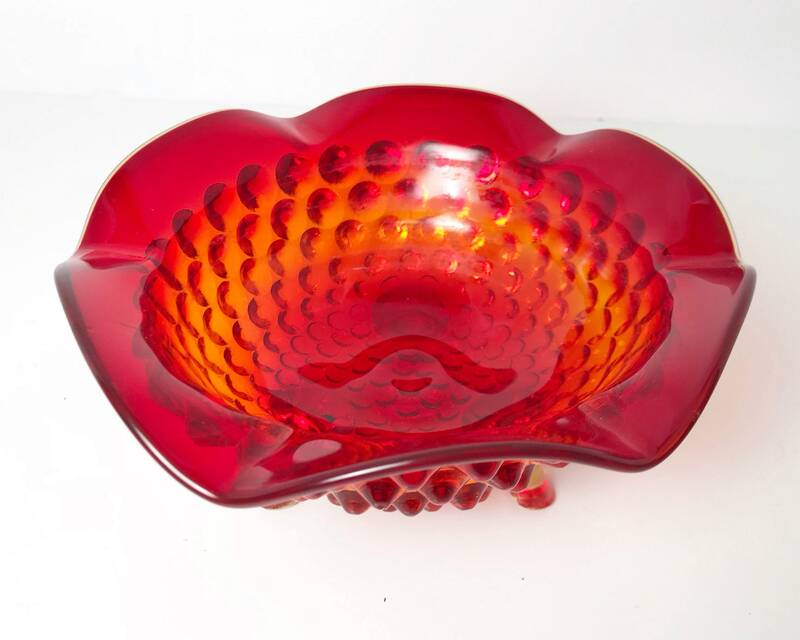 It does however seem to have some residue in the interior from being used as flower bowl. 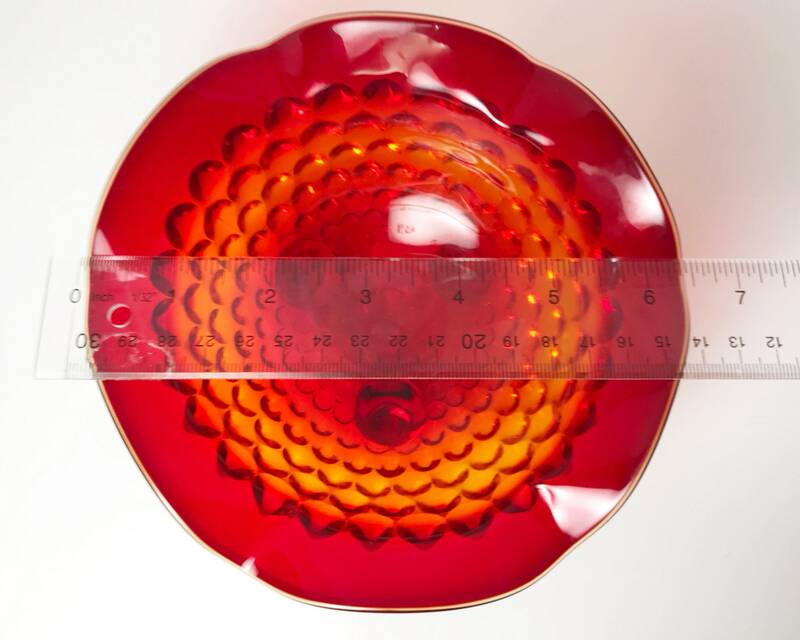 SIZE: 6 1/4 inches wide, and about 3 1/4 inches tall.